Celebrate parades or festivals with ease! 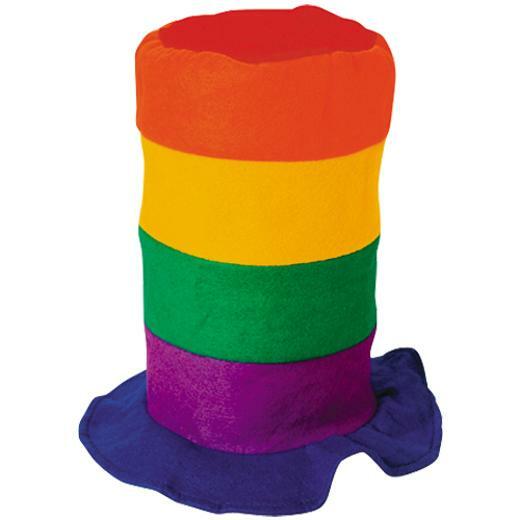 Show your pride or support with this rainbow striped Stove Pipe Top Hat. The alternating colors of this multicolor hat will really stand out at your next parade, festival, party or event. Stock up on all your costume accessory and hat needs with US Toy. We have a wide selection of novelty, career, costume and whimsical hats to suit any occasion. You'll be sure to find the right hat for your next party or costume with US Toy. L: 12.05 in. W: 13.65 in. H: 1.95 in.